As you probably will have gathered I am by no means a professional photographer, I really appreciate the skills pro's have and love looking at beautiful photos. Sure I dapple with 35mm film photography (which you get subjected to with my Silent Sunday series), but I try my best. 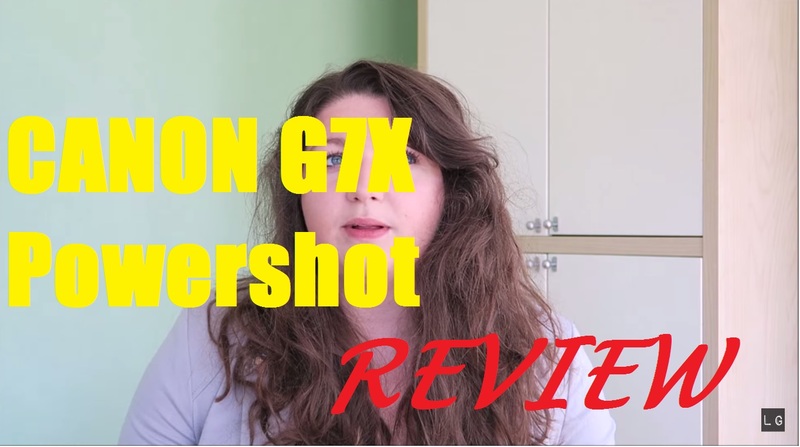 I bought the Canon PowerShot G7X at the start of the summer and after a few months of using it I have put together a little review of it for you- as I'm not a pro this is just my impression of it as a Blogger and a beginner Vlogger (I have just started venturing into YouTube). So I sat down and filmed a little video for you where I put my thoughts together, find it below and let me know if you agree or disagree with me! I really like the camera but it's probably not for everyone. For my needs it is perfect! So if you have similar needs than this might be the camera for you! If you have any specific questions about the camera get in touch and I will do my best! Thank yo so much Georgia! Picking cameras can be a nightmare!